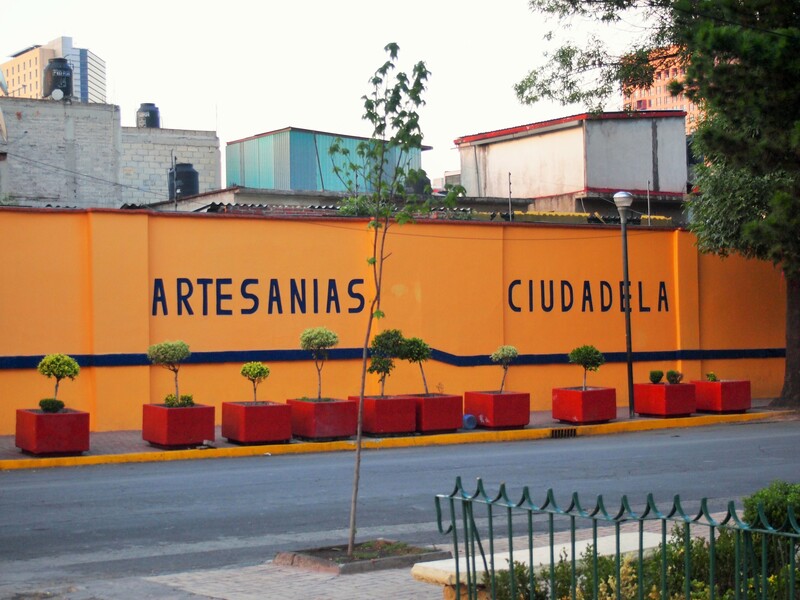 The neighborhood of Alameda Central lies to the west of the Centro Histórico. 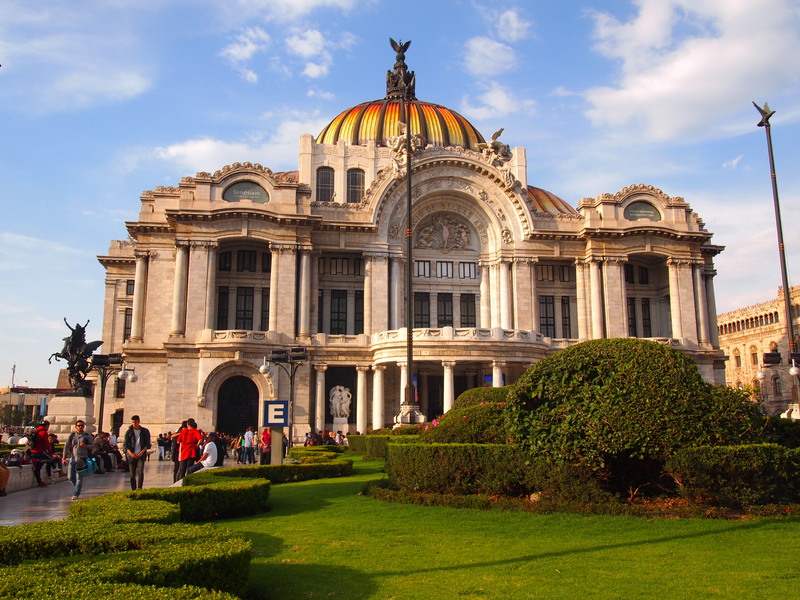 The narrow cobblestone streets and compact atmosphere of the Centro open up into the plaza of the Palacio de Bellas Artes (Palace of Fine Arts) and a park, Alameda Central, for which this area is named. It’s a refreshing change of pace from the Centro which can feel confined and claustrophobic when there are large pedestrian crowds. 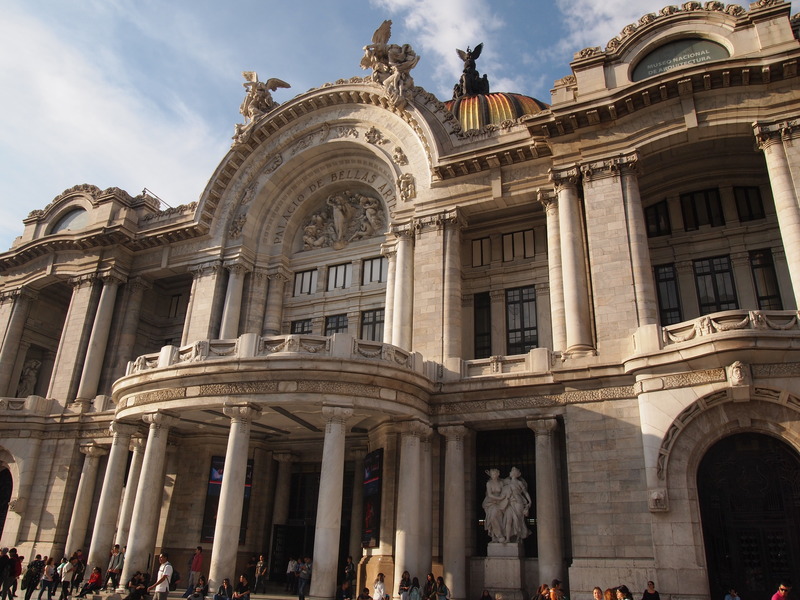 The Palacio de Bellas Artes is a major draw for tourists, and on Sundays, when admission is free, the plaza fills with people. Zach and I happened to visit on a Sunday and even our admission was free. 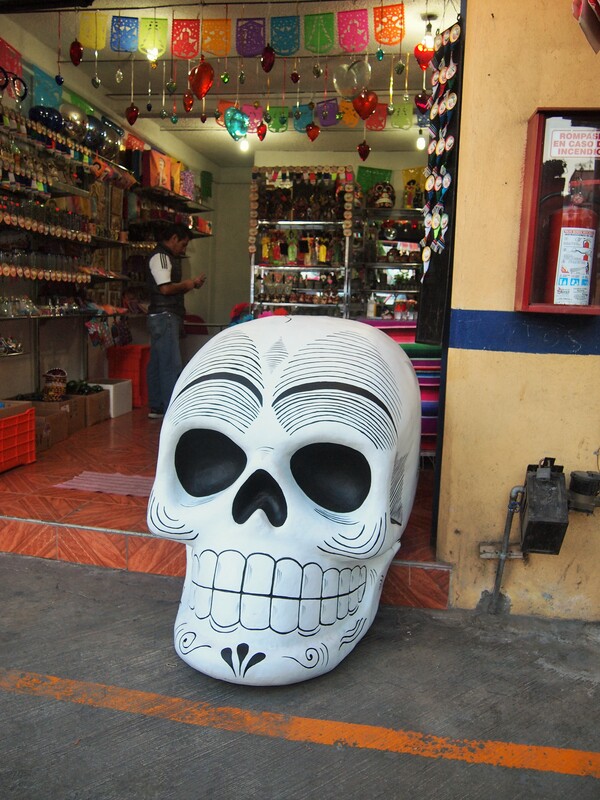 (For many sites, Sunday admission is free for Mexican Nationals only.) Although I’m sure there were more visitors than usual, it didn’t feel especially crowded, and I thought we were able to meander around as much as we wanted without feeling rushed. 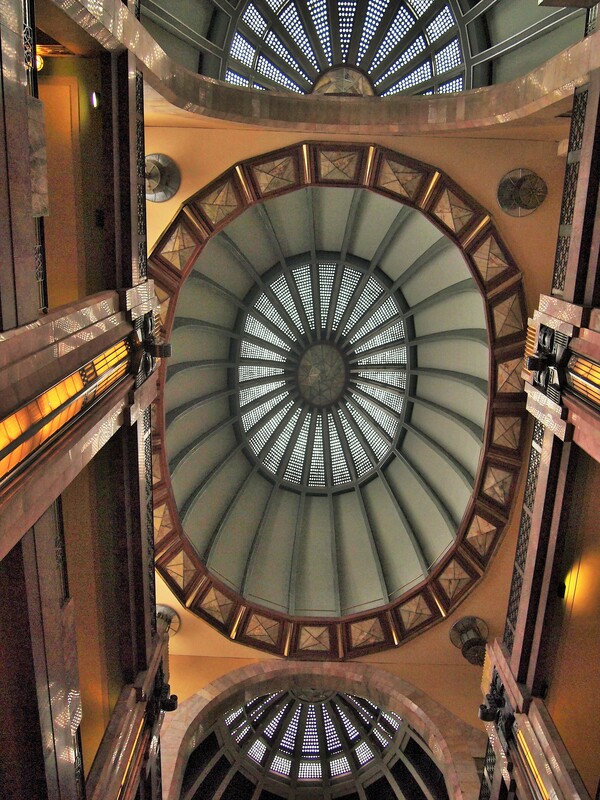 The Palacio is striking. It has a grand marble exterior, topped with a gorgeous ombré copula that shines at any time of day. Inside, the art deco interior reflects the modern taste of the decade in which it was completed. 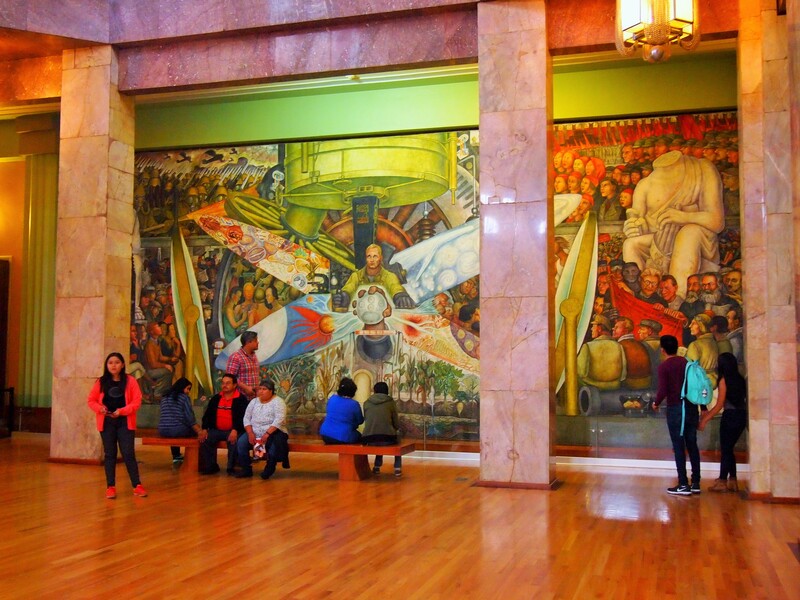 Although construction initially began in 1904, it was interrupted by the outbreak of the Mexican Revolution in 1910. A different architect finished the interior and cupola in 1934. 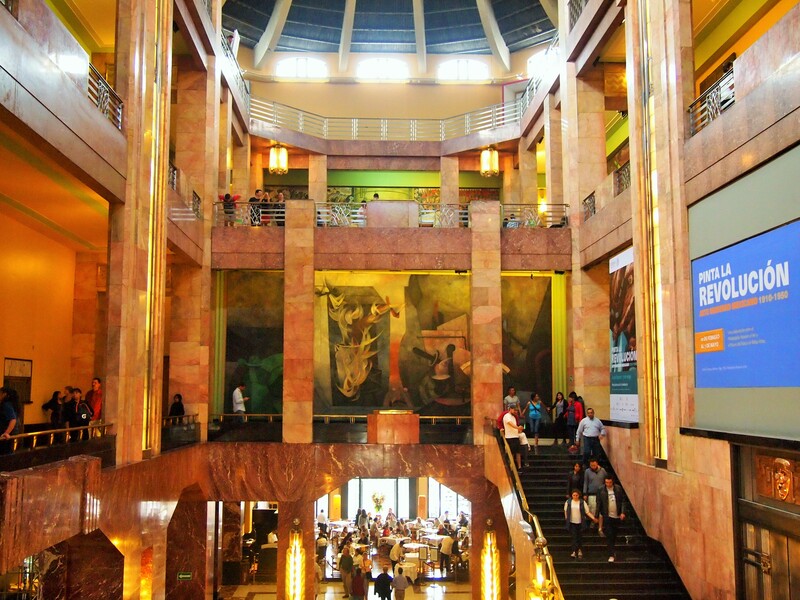 The palacio is truly a space to celebrate the arts with a theater for live performances, the Museo del Palacio de Bellas Artes on the second and third floors for art exhibitions, and the Museo Nacional de Arquitectura on the top floor. Unfortunately, the theater is only open for viewing if there is a performance so we weren’t able to see it on this visit. 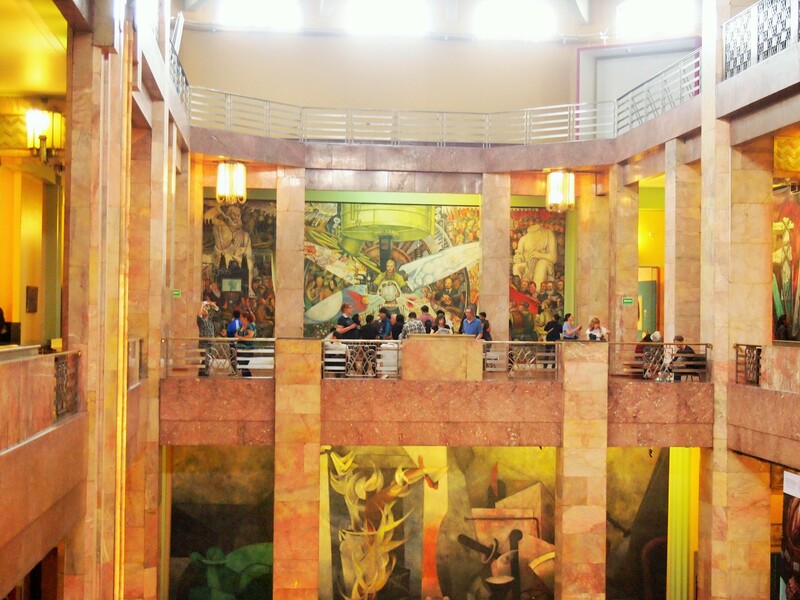 During our visit the exhibition at the Museo was “Paint the Revolution: Mexican Modern Art 1910-1950” displaying works by Mexico’s most prominent artists of the 20th century. 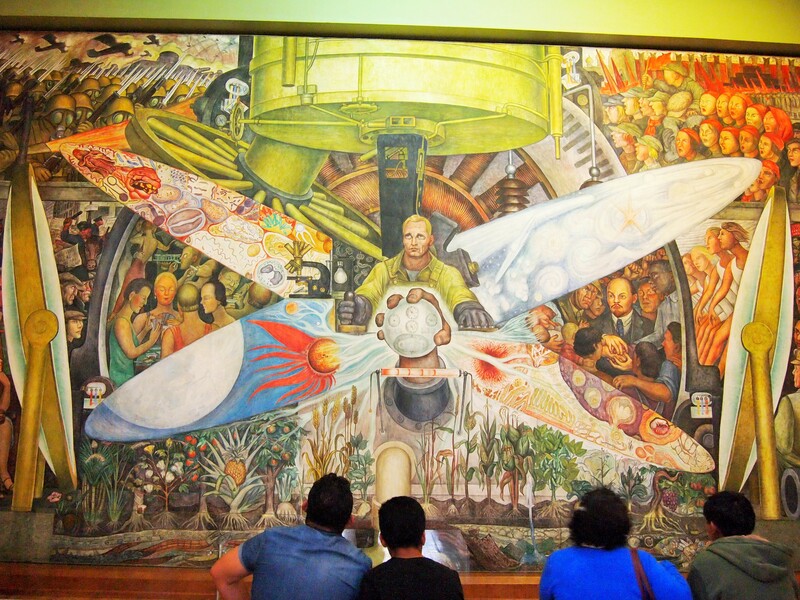 It was here that we saw our first Rivera and Kahlo works, along with other notable painters like Rufino Tamayo, David Alfaro Siqueiros, and José Clemente Orozco. 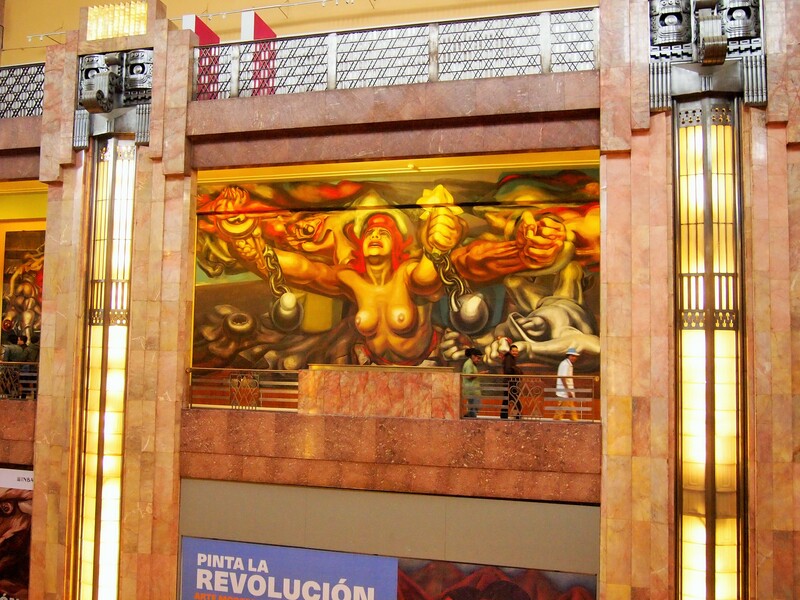 In addition to the exhibition, there are permanent murals on the second and third floors which dominate the space with their sheer size. The most famous of which is Rivera’s El hombre en el cruce de caminos (Man at the Crossroads). 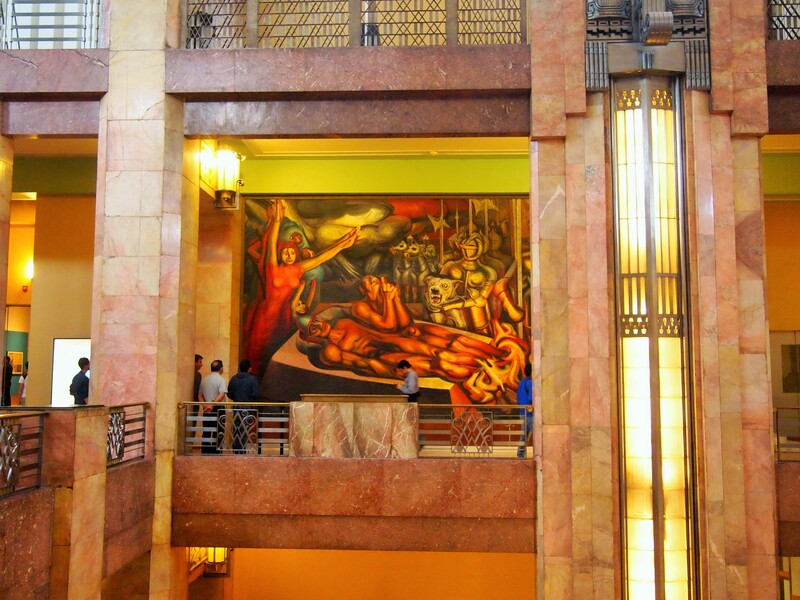 Commissioned by the Rockefellers for Rockefeller Center in New York City, the original was destroyed when Rivera included the image of Lenin in the painting. 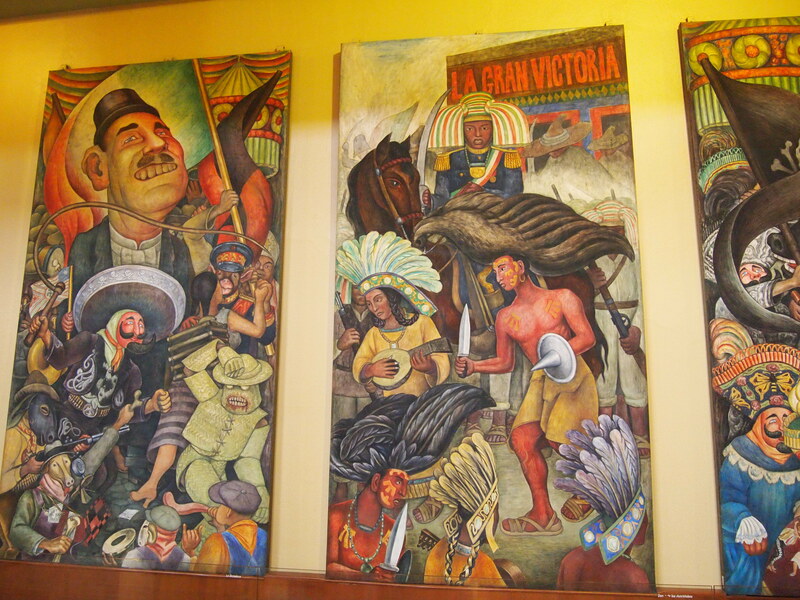 Rivera re-created his painting for the Palacio. 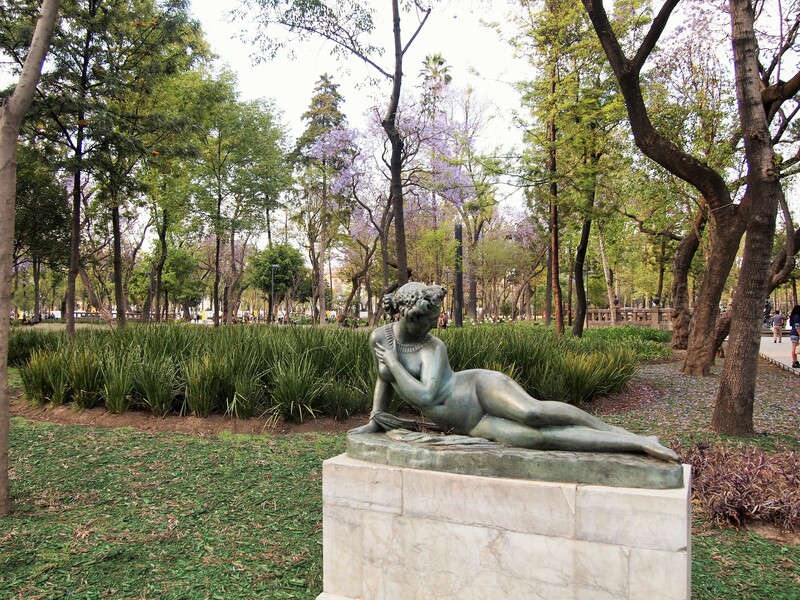 Next to the Palacio is Alameda Central, Mexico City’s first public park and the oldest public park in the Americas. 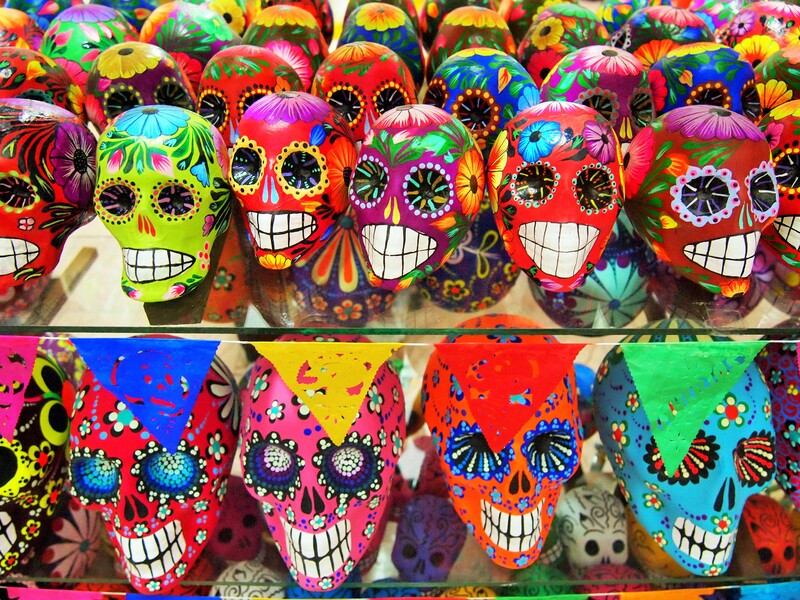 The park’s name comes from the poplar trees, or alamos, which originally covered the park. 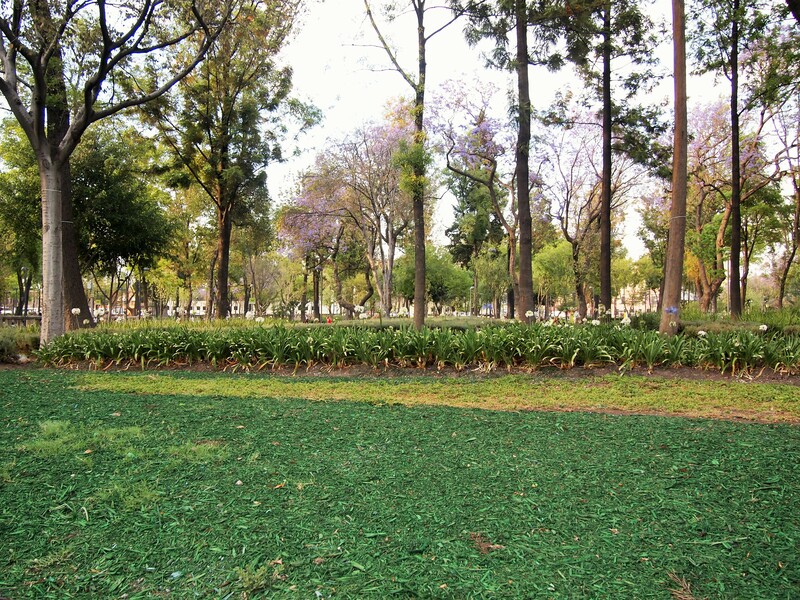 We strolled along the park’s borders on a beautiful day when the park was brimming with life and stumbled upon the Hemiciclo de Benito Juarez. 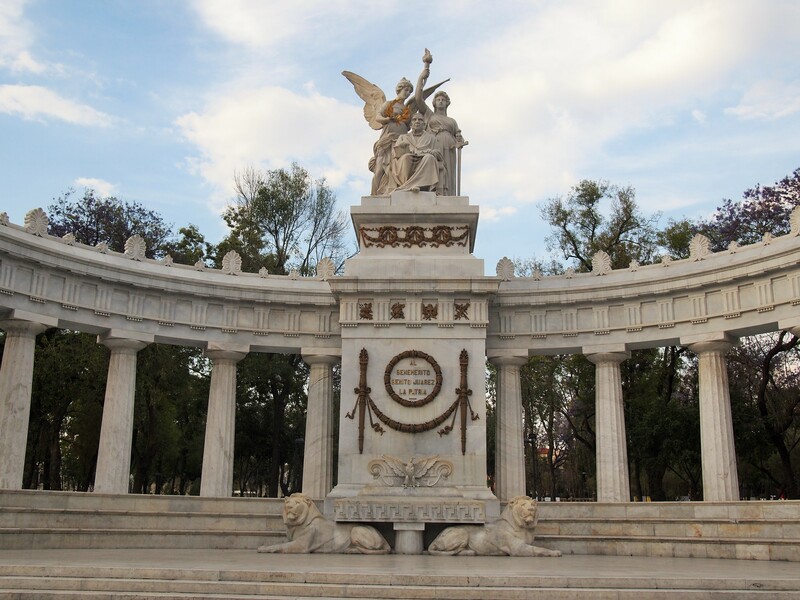 Located on the southern edge of the park, it was built to honor Juarez after his death. 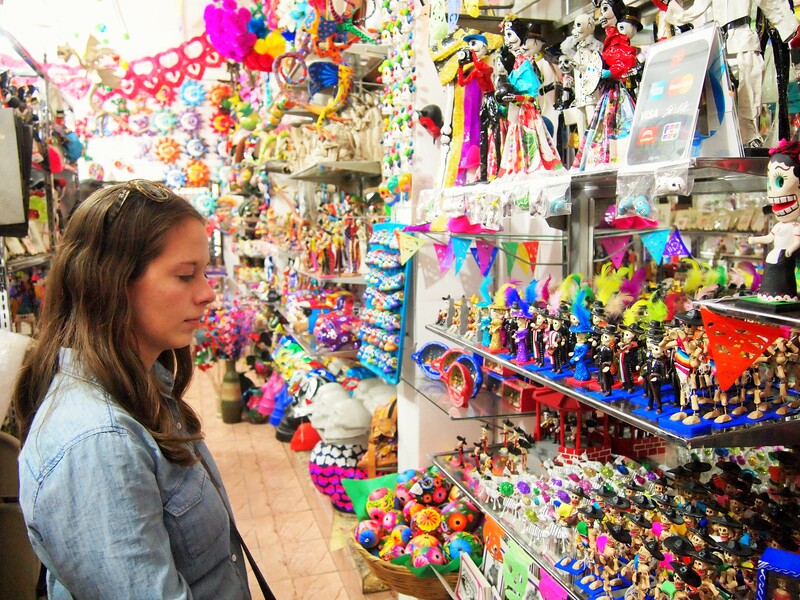 Our final stop in Alameda Central was La Ciudadela Centro Artesanal, an open air craft market with hundreds of vendors selling products from all over Mexico. 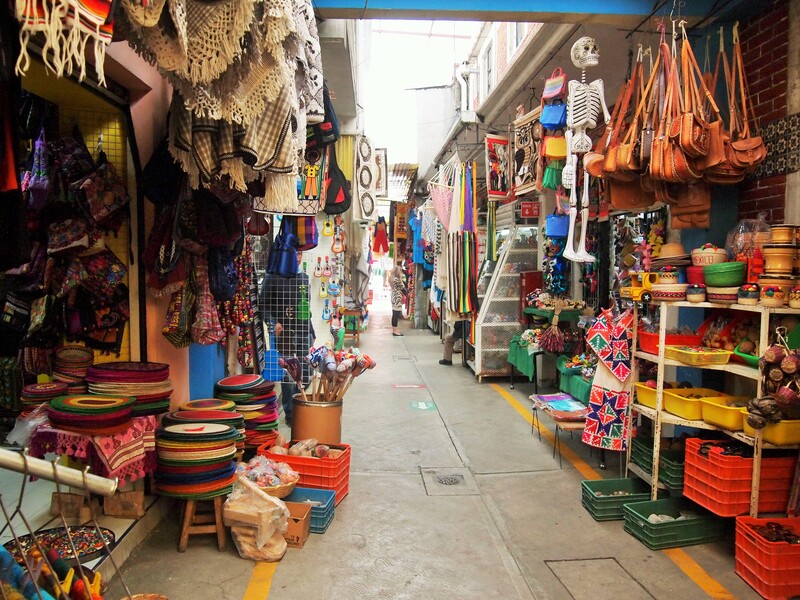 We spotted the market from our Uber as we drove to the Centro Histórico and decided it would be a great place to shop for some souvenirs. I ended up with a molinillo and a huipil, while Zach bought a hat. It was the perfect place to end our final day.